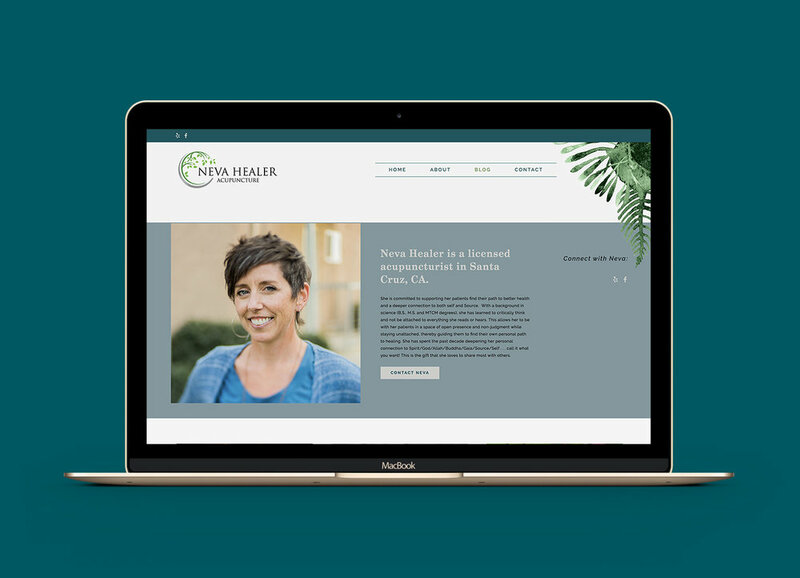 This Squarespace website launch is for Neva Healer, a Classical Five Element Acupuncturist located in Santa Cruz, California. Her gorgeous tropical colors inspired the botanical theme. 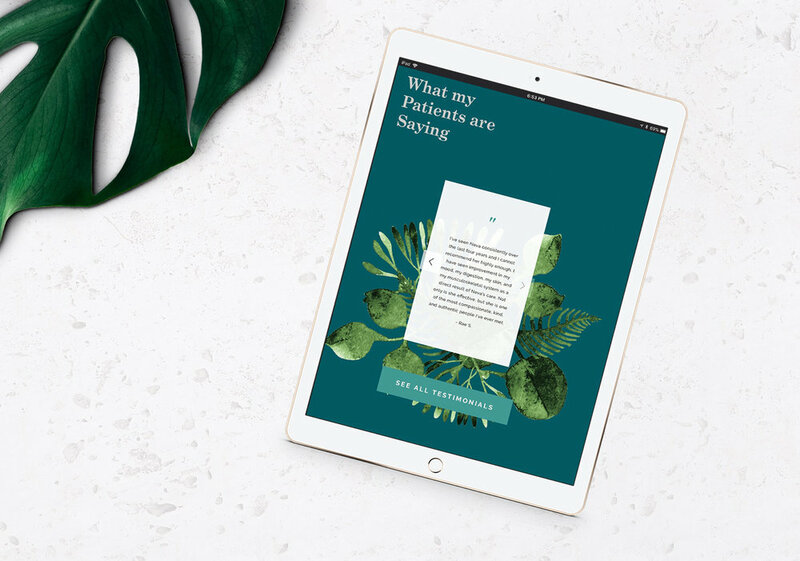 She was wanting a modern, concise website with a splash of fun and I think we were successful! I asked Neva: "What are some benefits of your new site?" The main benefit is attracting like minded clients and weeding out people who are looking for a more traditional western medical style acupuncturist. That is huge for me. I am simply not interested in pretending to be something I am not. I am also SO excited to have a blog now!! I really look forward to putting my thoughts on spirituality and health into the world. Also, the logistical things such as having contact info and online scheduling link online is going to be very convenient for my patients. Like what you see? Looking for your own custom Squarespace website? Let's chat!